Summary: To give your battery that extra boost, follow these tips. One of the greatest things about having a smartphone is the fact that it can practically do anything – until it runs out of battery. 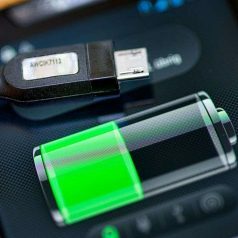 What makes matters worse is that most smartphone users today will tend to overcharge their battery and even do this multiple times throughout the day even when the battery isn’t at its low point. In order to maximize the life of your smartphone battery, follow these steps. Cell phone batteries won’t last forever. They aren’t designed to either. Companies won’t provide you with a battery that’ll work until the end of the time because, let’s be honest, how would they continue to make money on accessories if they did? One of the more important things you can do is to pay attention to your charging cycles. While it might be a bit inconvenient for you, try and charge your battery only when it’s extremely low. If you can, let it charge all the way to 100 percent, or maximum charge. This way, you won’t start harming your battery and letting it die out over time. Just by reading this headline, you’re probably already running multiple apps in the background. If they’re not in use, why keep them open? They’re only working against you and draining your battery as you keep your phone running. Furthermore, some of these apps might even utilize location services that activate a GPS system, which is draining your battery even more. Blog submitted by Constant Technologies, Inc.: For the finest network operations center video wall systems, visit ConstantTech.com for more information.